“Pack your bags. Pack your car. Pack your sleigh. Holiday season is upon us — a busy time of year for festivities, family, and, of course, lots of eating! Did you know that if a ten-pound cat ate just one ounce of cheddar cheese from your hors d’oeuvres, it would be the same as if a person ate three and a half hamburgers or four chocolate bars? 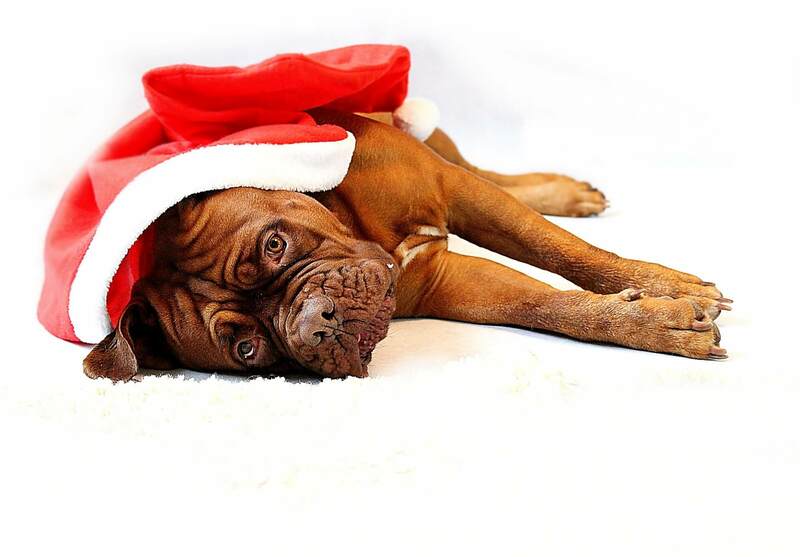 Gaining those “holiday pounds” is not just a problem for humans but also for our four-legged friends. Obesity is the leading medical problem in pets. When a pet is too chubby, they may have little energy to walk or play, and studies have shown that pets who are overweight may have a shortened life span. It can be hard to know because for many pets, they don’t get a big round belly. Instead, the extra fat is well hidden inside your pet’s body, tucked between their vital organs. So let us check! Our veterinary practice team has a trained eye to best assess your pet’s weight. Bring your pet in for their exam, and we’ll take a look at their body condition and nutritional needs. If we determine your pet needs to lose a few pounds, don’t worry: we’ll come up with a plan that will keep you and your pet sailing through the holiday season. Call us today to schedule your pet’s checkup. Happy holidays! Remember: Pack your bags. Pack your car. Pack your sleigh. But don’t let your pet pack on the holiday pounds!